I love how God speaks to me in various ways. In the past week, my boys have requested to watch the new Disney Movie, Frozen at least half a dozen times. We even listen to the soundtrack while getting ready and eating breakfast. And I have to admit, I now have every song memorized, sometimes when I’m woken in the middle of the night the songs play through my head as I try to get back to sleep. There is one in particular stands out the most, it gets stuck in my head much more than the others, “Let it go”. In the movie, Elsa sings this song as she becomes free to be herself and escapes the high walls of the castle that have held her captive since early childhood. She has concealed her real self and her feelings the majority of her life. She tried to be who she expected to be, rather than who she was created to be. She made one mistake, an accident, and she allowed that one incident to defined who she was. I think to myself, how much time, do we waste trying to be who our family, friends, and society say we should be, who they want us to be? So much of our lives revolves around one simple thought…. what will “they” think of me. How often we allow mistakes, relationships, jobs, etcetera to define who we are. 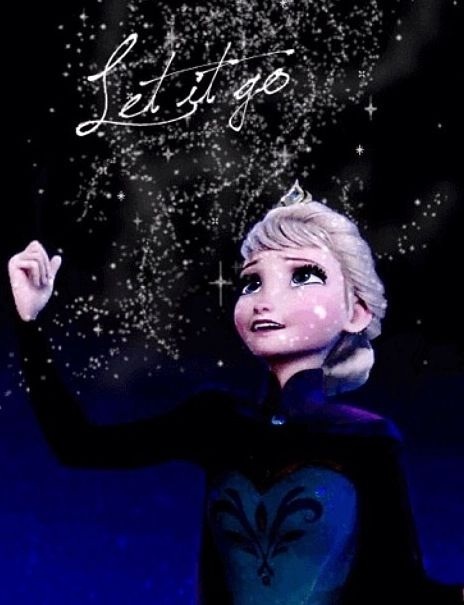 I watch Elsa, as she enters the icy hillside, arms extended upwards, joy radiating around her, singing about the freedom found in letting go of the past. In the song, she sings one line that actually says, “The past is in the past.” She is free to be herself, and that alone brings her freedom and joy. Once we choose to commit our lives to Christ and surrender our whole lives, not just bits and pieces, we too experience that same freedom. The past is in the past and we no longer have to carry around any of our old hurts, habits, and hang ups. Let’s not be defined by the mistakes of our past, we are free, free to be who we were created to be and what a joyous feeling that is! I challenge you to let go of whatever pain, resentment, hurt, or habit you are hanging onto and experience the joy and freedom that awaits. For all that $$ are they really any better? A guide to buying Progressive lenses.